"Bob made our bedroom set for us about 5 years ago and I STILL fall in love with it everyday. We had only a conceptual idea of what we wanted when we met Bob &Julie at the home show in Indianapolis. 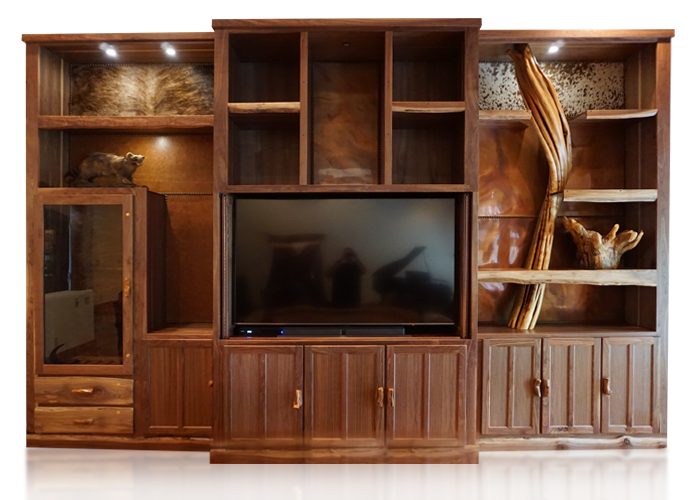 When we described what we were trying to accomplish, Bob was able to design and build a set that fit our needs perfectly. It is unique, beautiful, well-crafted, and is praised by everyone who sees it. We will definitely be having Bob make another piece of furniture for us!" Are you looking for just the perfect rustic log furniture that will add coziness, warmth, and uniqueness to your home? 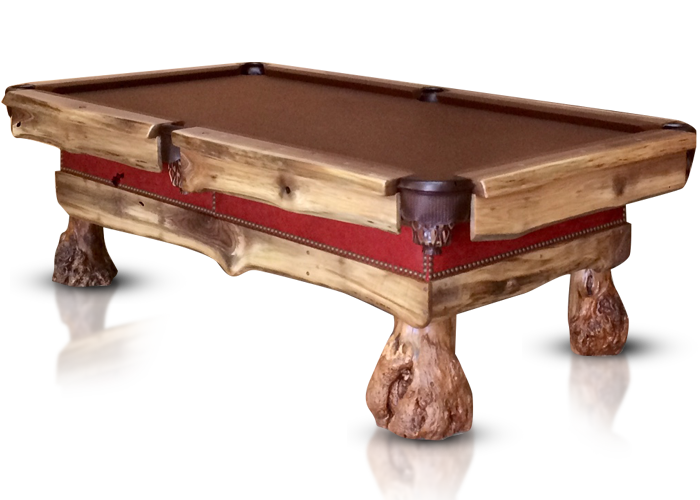 At Treemendous Designs, we design and craft custom log furniture and rustic pool tables that beautifies your home and grabs the attention of everyone that visits. From beautiful coffee tables, end tables, and full entertainment centers, rustic pool tables to elaborate and intricately detailed one-of-a-kind grandfather clocks. Our rustic log furniture is all handcrafted and unique. No two pieces that are alike. 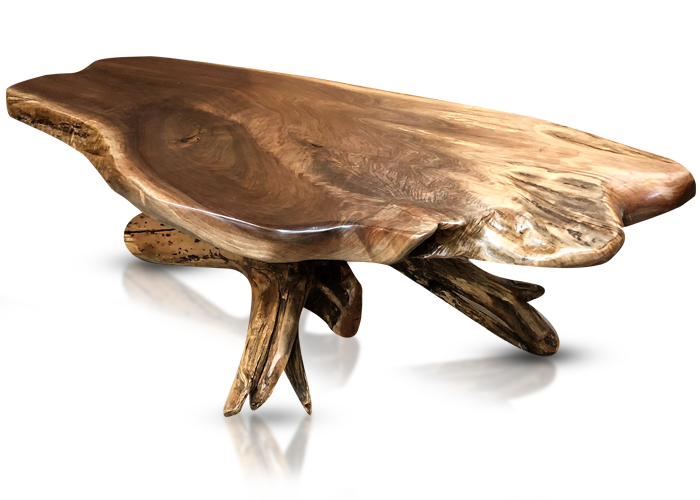 Careful attention is paid to every detail that you will find in our log furniture pieces. From going out in the woods to select just the right wood, to designing and had crafting each piece, we do our best to give you the best. 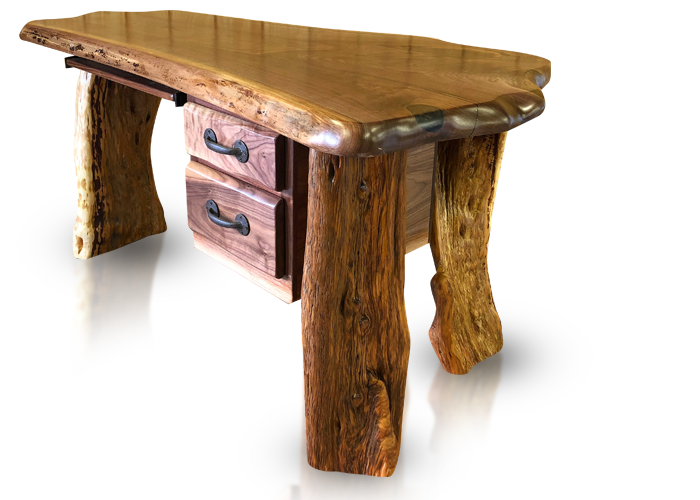 Feel free to browse our gallery and view all of our beautiful rustic pieces. If you see something that you like, let us know. Or, if you happen to have an idea of your own, we will be glad to design and create that for you too. Call us at 574-722-2689 or send us an email anytime at bob@treemendousdesigns.com. 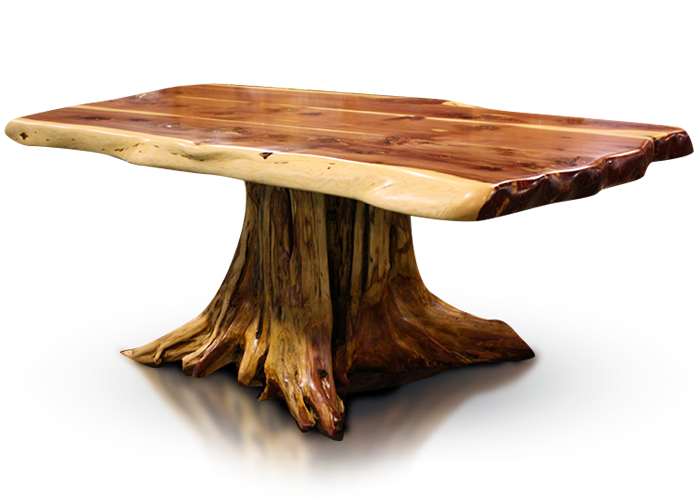 We look forward to hearing from you and creating you a custom log furniture piece that you will treasure for years to come.